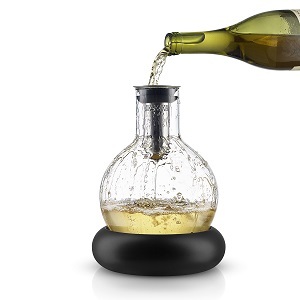 This is a super-stylish all-in-one decanter AND wine cooler. 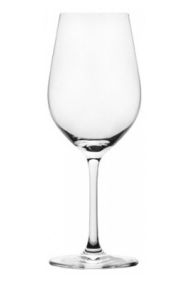 The wine is gently aerated through the integrated funnel and a removable cool ‘element’ in the stand means if you choose to use it your wine will be kept chilled for hours. 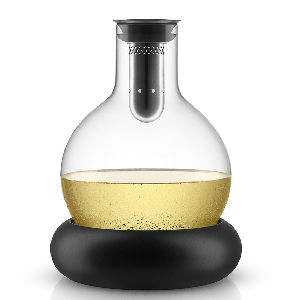 The decanter itself has a flat base so you can use it with or without the stand – making it perfect for both red and white wine. Not only does this look amazing – all parts are dishwasher-safe too!